It comes as no surprise that automation is having a dramatic effect on workplace productivity. 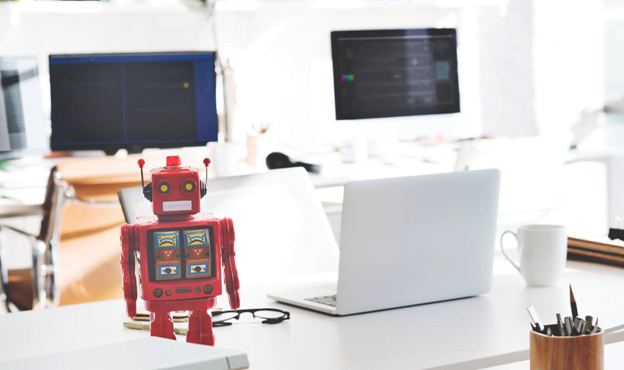 In fact, a recent study conducted by Deloitte – Global Robotics Survey – concludes that 95% of companies using Robotic Process Automation have witnessed productivity improvements. According to the Deloitte study, compliance-related issues have improved in 93% of cases, and cost reductions have been witnessed in 81% of cases. Less impressive, although nothing to be scoffed at, is the fact that 77% of organisations indicate that this has enhanced management information. The Deloitte study factored in responses from 530 businesses, with revenues in the region of $3.5 trillion. In 2017, 21% of businesses implemented this advanced technology to reduce costs, but in 2018, that reason accounted for just 5% of businesses. Precisely why process automation-compliant workplaces are becoming so popular is a function of several factors. For starters, businesses are required to scale operations to become effective competitors in the global arena. More organisations are turning to robotics and related technologies to add value to their operations. Adoption of this technology is gaining widespread acceptance among middle and upper management, with some 68% of team leaders and management supporting it in 2018, compared to around 34% in 2017. The merits of process automation are being felt by business employees and customers alike. Process automation has a myriad of benefits for organisations, much like it does with manufacturing. The automation of business processes is geared towards maximising resource use, minimising waste, and producing optimal output. A clear example of how process automation can help a business with greater efficiency is the elimination of paper invoices, work orders, requisitions etcetera. By creating online systems, process automation immediately cuts costs. This is also true where employees and customers can enter specific data online, and the accounting system can evaluate activity online. The movement to electronic processing of company-related information from paper processing is a major step in the right direction. Further, online systems can be accessed by multiple stakeholders in the company making it easier to preserve the integrity of information, track information, share information, and access information. To be successful, process automation needs to be embraced by all management tiers of the company. This includes the chief executive officer, upper management, middle management, lower management, and team leaders too. Employees also need to be onboarded with new process automation (PA) systems to ensure that this investment pays dividends. It has already been established that business process automation pays for itself within double-quick time, if implemented properly. Increased reliability of networking activity, instant connections to external machines, and the integration of PA with cloud-based processing systems can be of tremendous value to companies. Notable among the benefits of process automation technology are a significant reduction of information technology labour costs. It’s important to remember that labour-intensive activities should be shifted to business process automation wherever possible. Customers are eager to adopt new technologies, provided they understand them and can easily work with them online. Process Automation is a marvel to behold. However, there are challenges when it comes to scaling the requisite number of automated processes for organisations to be effective. For example, a Deloitte study found that just 4/100 organisations polled operate 50+ robots for automated processing of activities. This is marginally higher than the 3/100 organisations in 2017. Just 27/100 organisations operate their process automation systems with less than 10 robotic processes, or with 10-50 robotic processes in play owing to the inherent challenges of automating online/off-line activities with process automation, information technology know-how, and the absence of the clearly formulated process automation vision. Barring these hiccups, businesses have accepted that process automation can have a tremendous impact on workplace productivity. Automation software is increasingly being used to perform monotonous and repeatable functions, with significant cost savings vis-a-vis labour. Effective automation software is easily deployable, reusable, and able to run 24/7. By executing tasks around-the-clock in an error-free manner, PA is associated with dramatic cost savings, especially as it relates to the costs of full-time employees. For example, PA costs have been found to be approximately 20% of onshore full-time employee costs, and 33% of offshore full-time employee costs. There are many examples of organisations using PA technology to boost productivity and lower costs. One such example is Telefonica in the UK. It deployed process automation technology for telecom services and some 160 robotic processes are processing up to 500,000 transactions monthly. Telefonica is smiling all the way to the bank, with ROI (return on investment) ranging between 650% – 800%. How is this possible? The short and sweet of it is that business process automation removes the human element from wasteful, labor-intensive, and costly activities and replaces them with robots to perform routine functions. This frees up human potential to focus on more important matters requiring creativity, insight, and expertise. Process Automation is fully capable of performing routine functions, with programmable algorithmic functions. Of course, there is a degree of concern that PA technology could spill over into cognitive computing, a field of study which is fast gaining traction in the AI around. Cognitive computing is a form of computational ability with the computer is thinking and solving real-world problems in real time. Back-office environments are key candidates for process automation, on the proviso that the deployment is suited to achieving business objectives.